The Mitsubishi Outlander GX4 2.2 DI-D isn’t a car for suburban Surrey. 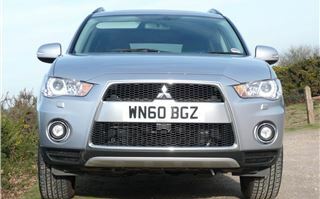 My first few days with it were distinctly underwhelming and I was beginning to wonder if I could recommend it at all. 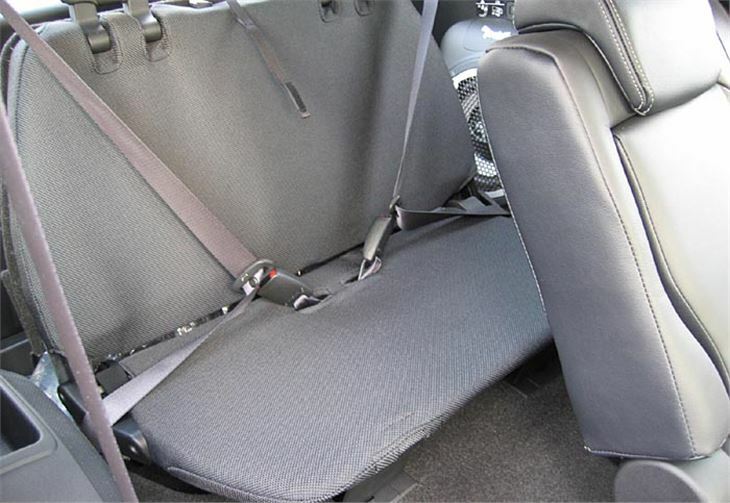 Some of this was irritation with the stupid little rearmost seats that just don’t erect easily and rattle when they’re pushed back into the floor where they belong. Even when up, these are strictly for little kids. No normal size adult should ever be made to suffer them. The load area redeems itself by having quickly tumble-folding centre rear seats and a drop-down tailgate as well as a hatch back. There’s plenty of loadspace. 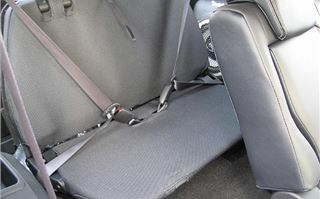 And those centre seats also recline and slide so you don’t have to saw the legs off the kids consigned to the back. 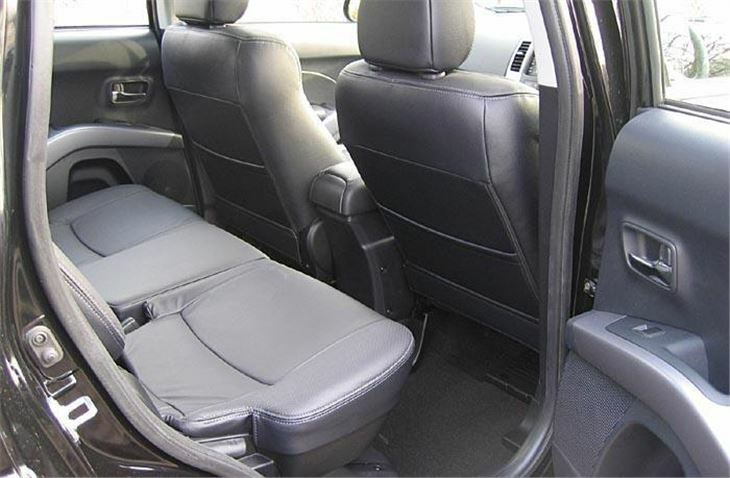 But to start to see the qualities of the car you need to take it for a long drive. As we did. 600 miles to Northumberland and back. On the motorway it settles into a controlled 2,000rpm 70mph cruise. Thanks to around 40 miles of 50mph contraflow, the display crept up to 41.9mpg. And it was actually under reading by about 2% compared to the standard I have set over a 300 mile journey. Cross-country, it also redeemed itself very well. 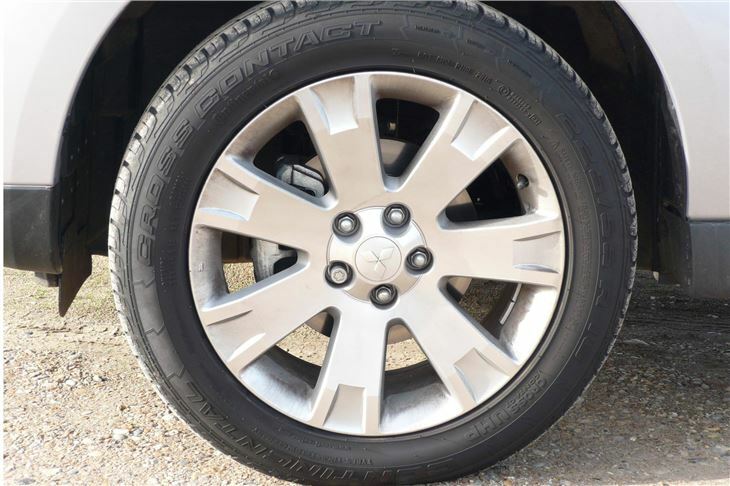 You drive it on the torque, which is considerable from 2,000 – 2,500rpm, still usefully there from 1,500rpm, and allows you go trickle along from 1,000rpm. It’s what Rolls Royce used to describe as “adequate”. Perfectly adequate to pull you round a 40mph three-car snake, for example. Handling’s not bad either, despite the high centre of gravity. 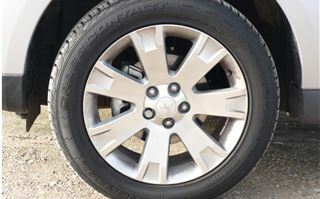 And ride quality very acceptable, even on 225/55 R18 tyres. Our car was specced up with leather and an all singing, all dancing Rockford Fosgate touch-screen satnav multimedia device that worked well and even offers a re-directs around traffic jams. Sadly, though, it doesn’t take postcodes, so you need a full address before you can key in a destination. Selecting Automatic 4WD sharpens up the front-end Audi quattro style. It feels a bit stiffer than a CR-V, without being less comfortable. In any kind of inclement weather it’s worth putting it into Auto 4WD, and only using 2WD for dry motorways, cities and suburbs. 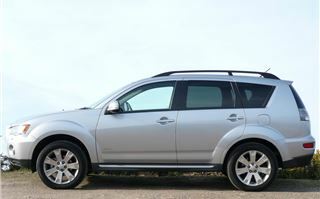 Interestingly the Outlander is powered by two completely different diesel engines. The maunal comes with a 2,268cc chain cam Mitsubishi engine developing 177PS at 3,500 rpm; 380Nm torque at 2,000rpm. The SST rwin clutch automatic, on the other hand, sticks to the Ford/PSA 2,178cc belt cammer developing 156PS at 4,000 rpm and the same 380Nm torque at 2,000rpm. The SST ‘auto’ transmission uses two clutches, one to engage the gear in use the other to pre-select the next gear required, which ensures that the gear change takes place instantaneously. This innovative technology saves on CO2 emissions and massively reduces power loss through the range. With no torque converter, this 6-speed TC-SST gearbox is more efficient than a normal automatic. On the way back from Northumberland, we increased the average consumption to 36.8mpg cross-country, by trying it on auto 4x4 for a while. Then, thanks to 15 miles of 50 limit on the A1, we got it back over 40mpg. And, by the end of the run, involving inevitable Sunday evening M1 traffic jams, the average for a total of 616 miles, including the video shoot, was a very creditable 44.9mpg. That’s actually better than the EC combined figure for the GX4 we were driving. And it’s not very often these days that a road test gets better figures then the EC lab tests. 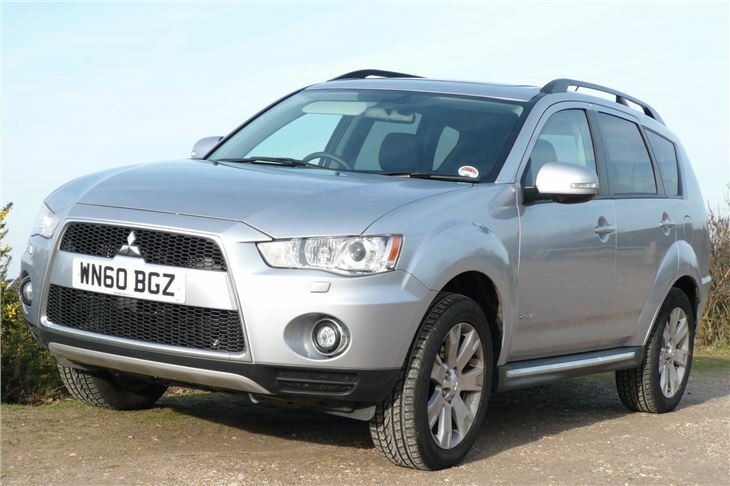 Take that in conjunction with the Outlander’s decent cross-country handling, its ample torque up inclines, its reasonable ride quality, its comfort and the ample space inside and I feel a recommendation coming along. 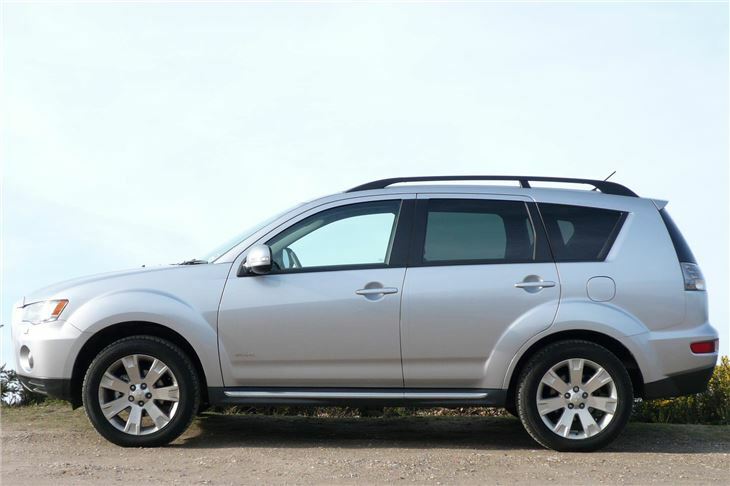 For some purposes, such as towing and high-speed dirt roading, I’d still go for the Santa Fe or the Sorento. 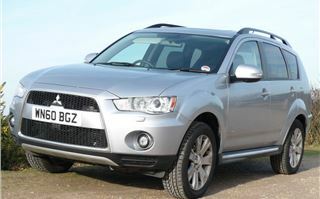 But for handling, performance and near sensational fuel economy, if I lived in Northumberland I could go for an Outlander.